World’s top photography fair, photokina, to take place from 20 to 25 September. 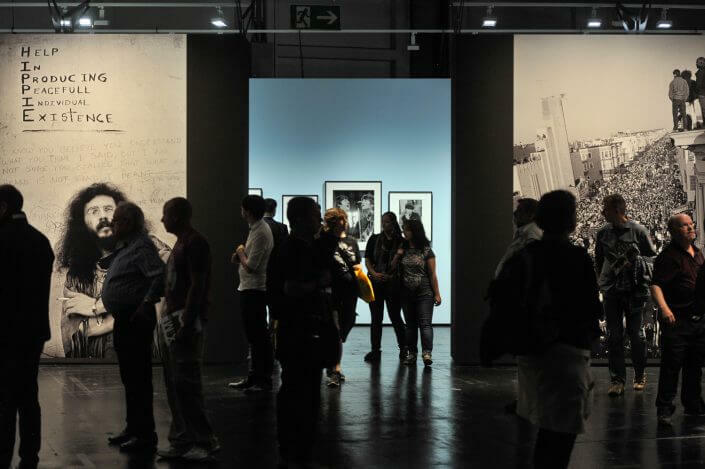 In a fortnight’s time, Cologne will again become a mecca for photographers as it hosts both the major Photoszene Festival 2016, with more than 100 photography exhibitions throughout the city, and the world’s largest and most significant photography trade fair, photokina. 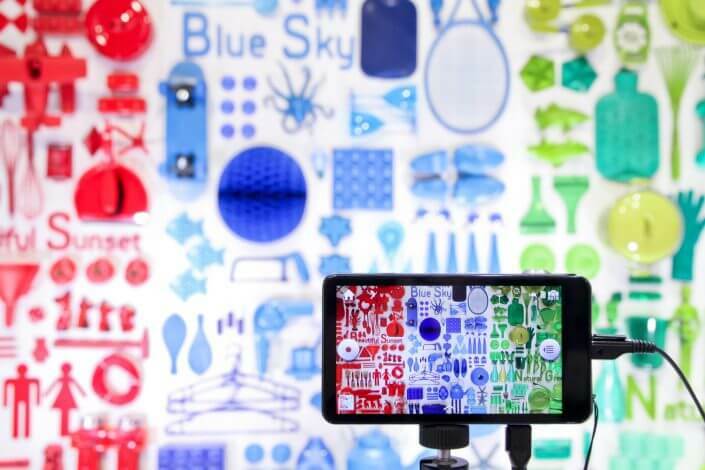 The last photokina two years ago attracted 185,000 visitors from 160 countries to Cologne’s Koelnmesse trade fair centre to find out more about the latest developments in photo technology first-hand from those who make it. 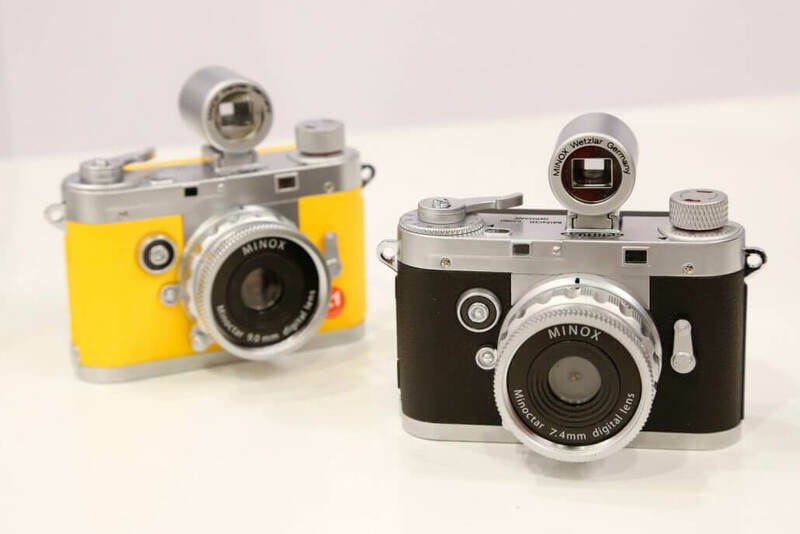 photokina is a long-standing tradition in Cologne. It was conceived by Bruno Uhl back in 1950 and started out life as the “Photo- und Kino-Ausstellung” (photo and cinema exhibition). 300 German companies presented their products at the first event, which was attended by 75,000 visitors. What made the exhibition special was that it had a trade fair and combined culture with commerce. Advertising specialist, publisher and writer L. Fritz Gruber, a native of Cologne whose collection of 1,000 works formed the basis of Museum Ludwig’s photography collection in 1976, was responsible for the legendary “Bilderschauen” shows that formed part of the event. 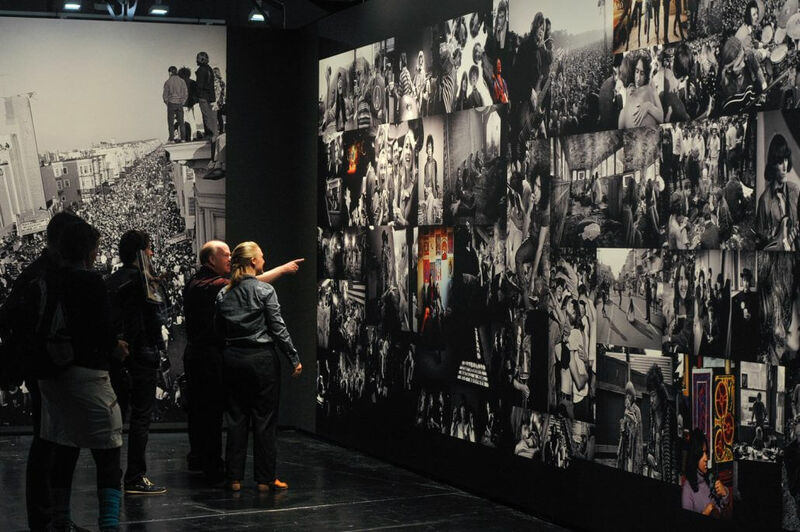 photokina was actually originally intended to be a touring exhibition but it was such a success that it was decided not to move it. Cologne was just so easy to reach, had suitable exhibition spaces (and more in the pipeline) and the city’s council also supported the idea of making the fair a permanent fixture. 1954 finally saw the second event, with numerous international exhibitors participating, and it was decided that it should take place every second year – as it still does today. Over the decades, the fair has changed just as much as photography itself has. One thing’s certain though – there have never been so many photos taken as today. But instead of being taken using actual cameras, be they analogue or digital, most photos nowadays are taken on smartphones. Reflecting this trend and the fact that anyone can be a photographer now and publish their photos online in a matter of seconds, this year’s photokina slogan is Imaging Unlimited. As well as the events at the fair itself, there will be a variety of workshops, contests, competitions and talks. 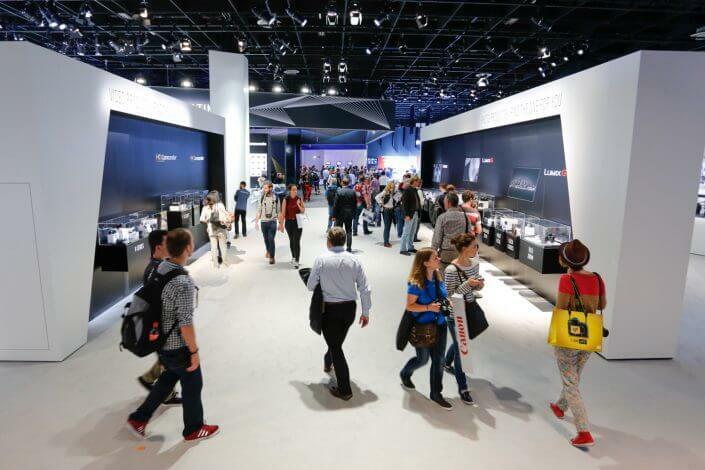 However, as in 2014, the cultural highlight of this year’s photokina will be the 2,000 m² Hall 1 with an exhibition designed by Leica Camera. Entitled Masters of Photography, it will feature 15 series of images and more than 400 pictures by famous Leica photographers such as Alex Webb, Ara Güler, Bruce Gilden, Ellen von Unwerth, Per-Anders Pettersson, Roger Ballen and JH Engström. A separate area of the gallery will present an exhibition called Upcoming Masters, in cooperation with the Deutsche Gesellschaft für Photographie (German Photographic Association) and the Photoindustrie-Verband (The Imaging Association). But there’s lots to discover away from the trade fair grounds too. From 16 September to 9 October 2016, Carlswerk in the district of Mülheim will be the place to be as camera manufacturer Olympus stages another Perspective Playground. Essentially, it’s exactly what it sounds like – a huge playground for photography aficionados where they can see things from new perspectives and borrow Olympus cameras to try out for free. And they get to keep the memory card with the photos they have taken! 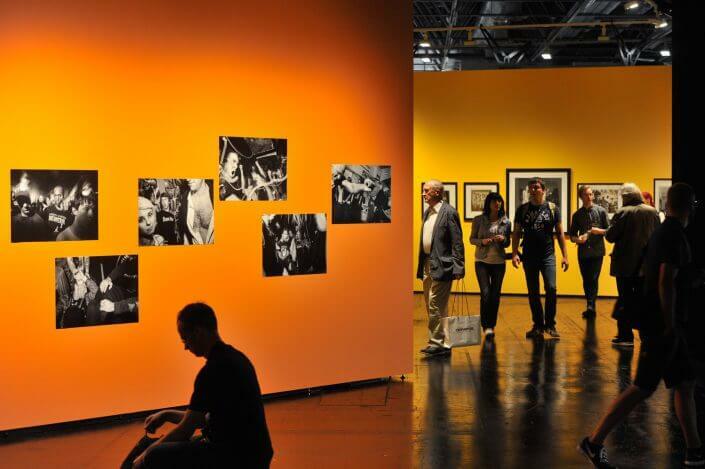 If it’s workshops and guided tours you’re looking for, you need to take a look at Prologue by photokina. They have technical courses such as “The unleashed flash” and “Portrait photos using old lenses”, and organised walks for photographers, among them “Following in August Sander’s footsteps”, “Between sunrise and the morning mist” and “Polawalk by Impossible” using old Polaroid cameras and new film. Those who prefer passive pleasures should head to the new Rhine Boulevard with its staircase on the right-hand bank of the river (between Hohenzollernbrücke and Deutzer Brücke bridges). On 16 and 17 September, this will be the place to enjoy other people’s hard work in a water projection against the backdrop of Cologne’s wonderful Old Town. Starting at 8.30 pm, visitors will be able to see the best short video entries in the photokina motion picture awards and the best Light Art photos projected onto a screen on the River Rhine.